Gobble Gobble – 'Tis The Season For Thanksgiving Pie! 'Tis The Season For Thanksgiving Pie! Oh, wonderful Thanksgiving! Months of toil have yielded a bountiful harvest, and now, we gather with cherished friends and family to celebrate our good fortune. Yes, ma, the food is delicious – but please, let’s quit dillydallying with the stuffed turkey and move on to the main attraction: the Pie! Mmmmmm. Apple, cherry, pumpkin, pecan, custard, lemon, meringue, mince meat, and turkey pot pie… bring ’em on. Happy Thanksgiving from everyone here at Data Pointed. 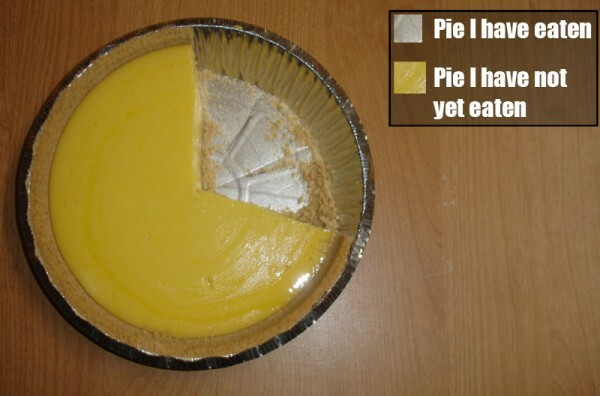 The world’s most accurate pie chart courtesy of Laszlo Thoth (CC-BY-NC-SA).